I’ve been trying to think on how to update my index of craftspeople while keeping them current and making it interesting, and decided that I will spend the next while writing “Craft of the Day” posts. 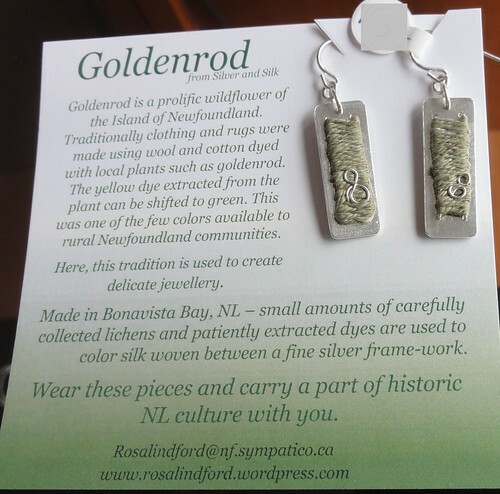 Each day I will find a product (some will be from the Craft Council of Newfoundland & Labrador’s shop, some from around the province as we travel), craftsperson or studio here in Newfoundland and will write up a brief profile or post. I can’t promise that this will be a daily event, since life has a funny way of jumping in as soon as you make such a promise, but I will certainly post consistently! 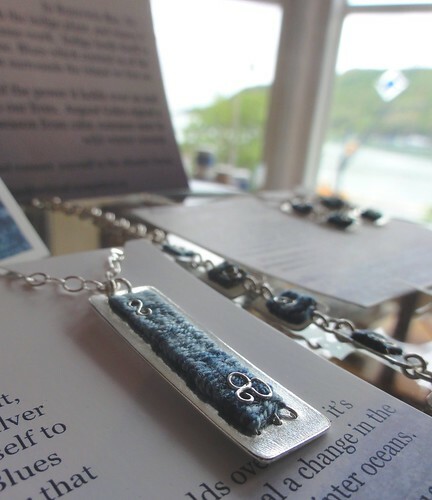 I found this silver and natural dye work in the Craft Council Shop today and was enchanted! 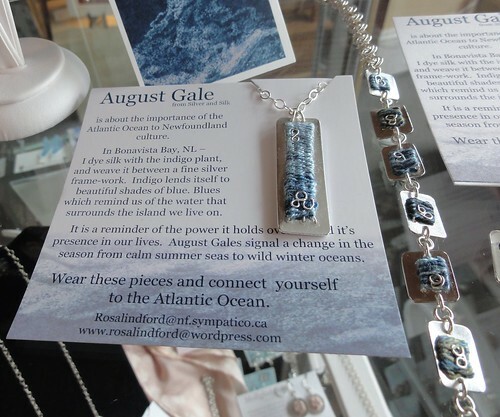 The genius behind the product is Rosalind Ford and the body of work she has on display is just lovely! 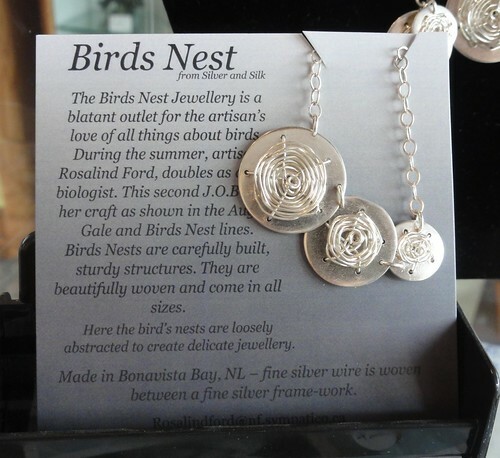 Drop down to 59 Duckworth Street (free parking around back!) and check it out!